DIY retailer is due to appoint agency later this spring. Homebase is holding pitches for its creative account and is looking to appoint a shop as part of its "turnaround" plan. It is understood that the process is being handled by AAR and that a result will be announced some time in the spring. The winning agency will develop a creative strategy that marks a "new approach" to Homebase's marketing. The DIY retailer this week appointed Havas Media after a pitch managed by Ebiquity. 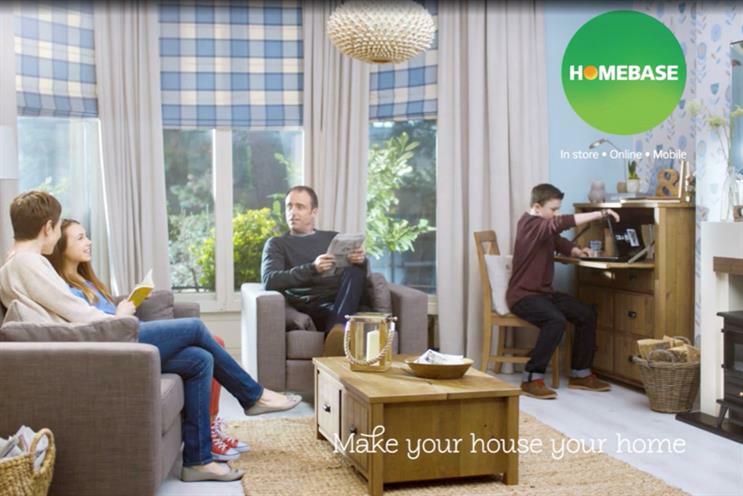 Havas will start working with Homebase on 1 April, while Homebase told Campaign that it expects to have appointed a new agency by June. On appointing Havas Media, Homebase described its new approach as "combining brand and performance across on- and offline channels" to boost share and brand health. Retail marketing manager Grainne Arnold said Havas' apppointment came as Homebase sought to "turn around and grow our business". Arnold is also leading the creative review. The ad review follows three troublesome years for Homebase, after it was taken over by Australian group Wesfarmers in a £340m deal. Leo Burnett worked on the business before the Wesfarmers takeover. Following the takeover, Australian shop The Brand Agency was brought onboard. Homebase said that The Brooklyn Brothers have since taken on the role as interim agency. Homebase's former owners underestimated the complexities of the UK DIY retail marketplace and, despite changes to the product range and rebranding of some stores as Bunnings, it ultimately failed to compete with rival B&Q. Wesfarmers sold the business in May for £1 to restructuring specialist Hilco, which acquired the troubled HMV.